One of the best values in Fountain Lakes! 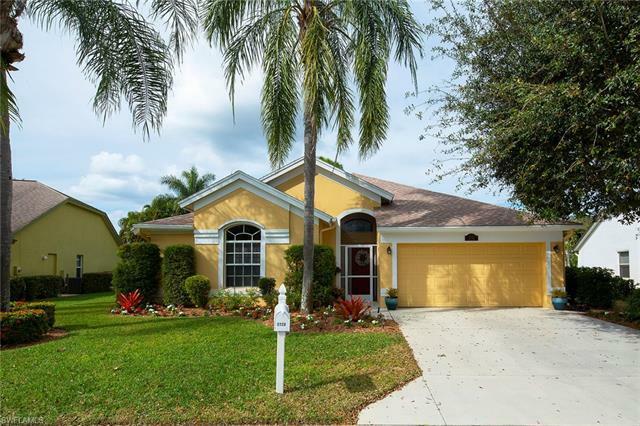 Fabulous 4 bedroom, 2 bathroom great room home nestled on a quiet street in the Fountain Lakes community. This home features, Bamboo wood flooring living areas, remodeled kitchen with pull-outs, granite countertops, island, stainless steel appliances, remodeled guest and master bathrooms, tile in the master bedroom, NEW ROOF in 2018 and new pool cage in 2018. Enjoy relaxing poolside on your spacious lanai or cooling off on the pool sundeck. Home has been lovingly cared for and it shows! Fountain Lakes is a gated community with low Fee ($252/Qtr.) which includes a 9-Hole Golf Course, Pickleball, Tennis, Shuffle Board, Clubhouse, Fitness Center, and Community Pool. Across the street from Coconut Point Mall, and close proximity to Dining, Entertainment, SW Florida Airport, and Gulf Beaches. © 2019 Bonita-Estero MLS All rights reserved. Information deemed to be reliable but not guaranteed. The data relating to real estate for sale on this website comes in part from the Broker Reciprocity Program. Real estate listings held by brokerage firms other than Select Real Estate are marked with the BR logo and detailed information about them includes the name of the listing brokers. Listing broker has attempted to offer accurate data, but buyers are advised to confirm all items. Information last updated on 2019-04-20.